If Pittsburgh wins, I see it as them getting past that bump in the road and cruising to their second straight Stanley Cup. But if the Habs pull this one out, the rest of the playoffs will be completely wide open for any team to take it. As I alluded to yesterday, it would also mean one hell of a streak ending when either San Jose, Chicago, Montreal, Boston or Philly win the Cup. What strategy should I use for this critical Game 7 that could decide the outcome of the playoffs? In the Detroit series, I used my ingenious reverse psychology skills and said that Phoenix would take Game 7, even though I really thought Detroit would. The same strategy worked when Canada faced Russia back in Vancouver. When it came to Washington-Montreal in Round 1, I gave my overwhelming support that the Capitals were going to massacre Montreal. Technically, I was wrong on both. Will I be wrong again…? You would think that Crosby will come out on fire to start the game tonight (I feel like I said the same about Ovechkin). I think this game will be as simple as the team to score first will win. If the Penguins do, the crowd will be energized and it could turn into a blowout like Game 1. If Montreal does, it could be Crosby temper tantrum #112998. I would love to see some overtime. The Wings/Phoenix Game 7 was awesome for me, but probably less eventful for non-Wings’ fans. The Caps/Habs was exactly what you have seen from Montreal all playoffs. 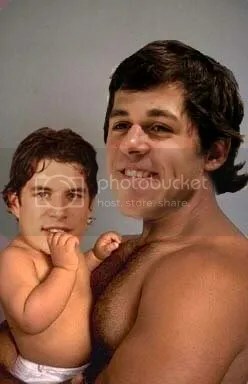 This entry was posted on May 12, 2010 at 4:38 pm and is filed under Hockey Blogs with tags 2010, crosby, montreal canadiens, pittsburgh penguins, Stanley Cup. You can follow any responses to this entry through the RSS 2.0 feed. You can leave a response, or trackback from your own site.